What is a 3LA order? The Australian Cybercrime Act 2001 (Cth) inserted a new section 3LA into the Crimes Act 1914 (Cth). 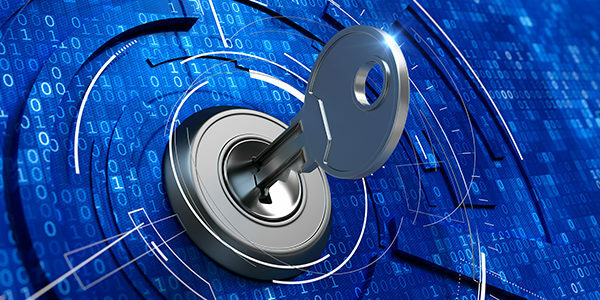 Section 3LA gives law enforcement officers the power to compel a person to reveal their private encryption keys, personal identification numbers or passwords, enabling the officers to access information held on a computer for the purpose of investigating and prosecuting a computer related offence. A failure to comply with the law enforcement officer’s request is punishable by up to six months’ imprisonment. Is it possible to challenge a 3LA order? A 3LA order may be set aside under section 70 of the Local Court Act 2007 (NSW) and the Crimes (Appeal and Review) Act 2001 (NSW). Section 70 is found in Pt 4 of the Local Court Act, headed “Special jurisdiction”. The part applies to “any proceedings with respect to matters for which jurisdiction is conferred on the Court by or under any other Act or law.” There are two exclusions, namely “criminal proceedings” and proceedings under Pt 3, which involves the civil jurisdiction of the Local Court. 3LA proceedings are heard by the Local Court sitting in its Special Jurisdiction. This is because the jurisdiction to grant a 3LA order is conferred on the Local Court under section 3LA of the Crimes Act 1914 (Cth). Under section 3LA, it is a Magistrate who is empowered to grant a 3LA order. Proceedings in the Local Court are heard and determined by a Magistrate. Although the provisions of the Crimes (Appeal and Review) Act 2001 (NSW) refer to “conviction or sentence” rather than “order”, Wilson J in the case of Commissioner of Police (NSW Police Force) v Howard Silvers & Sons Pty Ltd  NSWSC 981 noted that the language of the Crimes (Appeal and Review) Act 2001 may not always be appropriate to appeals arising under section 70. Her Honour stated that because section 70(5) allows for modification of the Crimes (Appeal and Review) Act 2001 (NSW), the precise terms of that Act may not always be relevant. The words “conviction or sentence” do not prevent a person issued a section 3LA order from appealing the order. In which court may an appeal be brought? A person may apply to the Local Court, District Court or the Supreme Court to have the order set aside. Alternatively, a person issued a 3LA order may invoke the Supreme Court’s supervisory jurisdiction via s 69 of the Supreme Court Act (NSW) for judicial review of the Magistrate’s order.